You have heard us say it many times already: we are on a mission to change the future of uploading. If we have it our way, gone are the days of uploads being interrupted and aborted because you briefly dropped your connection. To that end, we developed tus, the open protocol for resumable file uploads. As soon as we released tus 1.0, back in November of last year, we began looking for ways to give the protocol a practical, real-world application. After all, without a means to put it to work, tus would be nothing more than a meaningless document. After some consideration, we decided on developing a file uploader. 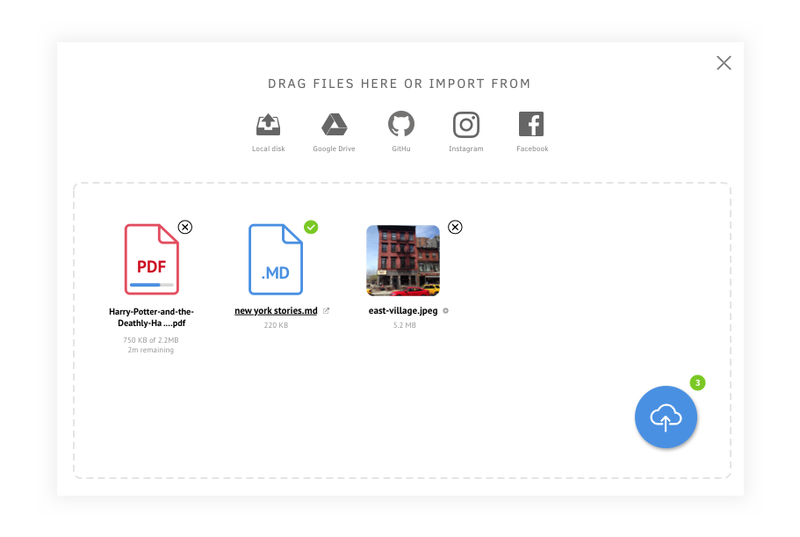 Even though there already are quite a few file uploaders out there, we really felt that we would be able to bring some meaningful improvements to the table, in addition to the resumable upload functionality that tus provides. And thus, the idea for Uppy was born. We have been working hard on Uppy for the past 6 months, and a little over a week ago, we decided to share our ideas about the project with the world. You can read the full blog post here. Cute on the outside, the core of Uppy is very robust – thanks to resumability through ‘tus’. We are confident that Uppy will be able to send even the biggest of files over the smallest of tubes. Uppy will also offer first class support for accessing Transloadit’s uploading and encoding back-end, making it incredibly versatile. Of course, these are all ultimately just plugins, and Uppy can just as easily be used with your own back-end – meaning no need to pay any subscription fees. Putting your pet project out there, for the world to see – and criticize – is always exciting, but also somewhat nerve-racking. That is why, to say the least, we were a bit overwhelmed when we saw the amount of traction the news about Uppy was getting. On July 17th, the blog post reached the front page of Hacker News and later that day, the Uppy repository – which is really just a work in progress at this point – became trending on GitHub. At one point, it was even the seventh most trending open source project across all languages! We are absolutely thrilled about the momentum Uppy has received in the past two weeks. The project went from being watched by a modest 155 people to, as of writing this post, 1521. As it turns out, being trending on GitHub is pretty cool! Amassing GitHub stars is, of course, all well and good, but in the end stars don’t bring home the bacon. We are, therefore, happy to say that the momentum surrounding Uppy has also already netted a few great contributions from the community, such as translations in Chinese and Portuguese. Furthermore, the author of FineUploader also reached out to us, and offered to help with implementing some of the very useful FineUploader features into Uppy. All in all, Uppy is doing great! More work is done on the project each day, and we now have 1521 pairs of eyes following our progress. If you would also like to stay up-to-date about Uppy, you can follow the twitter and blog feeds. We will also be sharing updates on the project here on the Transloadit blog, from time to time. If you have any thoughts or questions about Uppy, or if you’d like to contribute in some way, please let us know! Now is the perfect time to influence what the future of file uploading is going to look like!